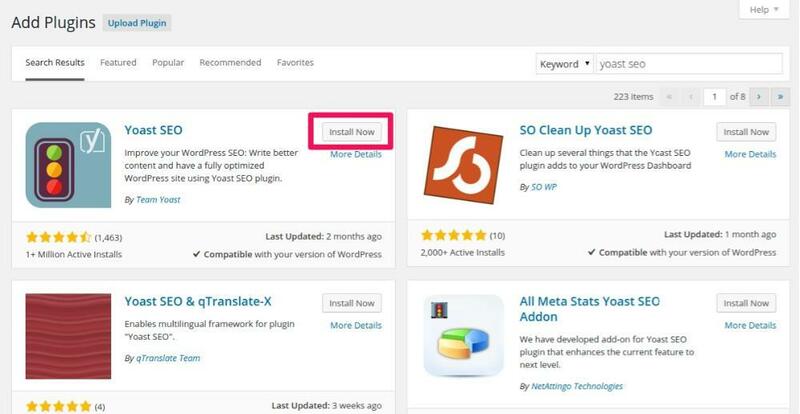 How to Setup the Yoast WordPress SEO Plugin in a Right Way? All of us are looking for a higher ranking on the Search Engine through the SEO. The blogs that are built using WordPress are considered to the SEO optimized, that is why more and more individuals are turning towards the WordPress to create blogs. However, if you have installed the WordPress you still need to configure so many other things to make it SEO friendly. As we all know that the plugins are the backbone of WordPress, and if you want to perform little things on the WordPress, you can do that by using a corresponding task performer plugin. Today, in this article we will we looking at the most loved plugin- the one which is the ultimate SEO solution for your site or WordPress blog. Yes! You have guessed that right. We are talking about the Yoast SEO. According to some webmasters, using this plugin for your WordPress site is the best thing you can do. It has over one million active installs presently. One of the best plugins for WordPress is undoubtedly SEO by Yoast. It is emerging as a protruding name. 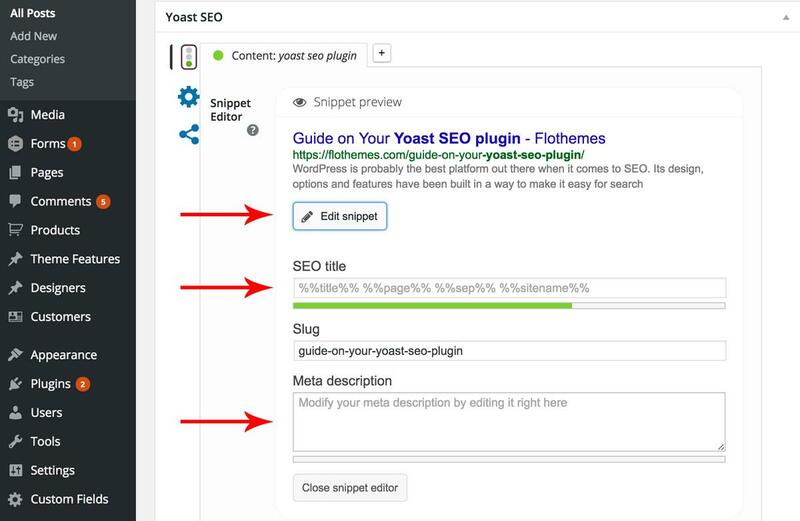 Most of you who use the All in One SEO plugin might know all about the Yoast SEO. If you are looking for receiving the best WordPress settings for SEO in WordPress, it can be done by using a number of different plugins, and among them, the most popular one is SEO from Yoast. Recently some changes have been made and it has been upgraded to the version 3. This version is a major rewrite of the codebase. Without wasting any further time, let’s us see what is YOAST plugin and how to set it up for your WordPress website. Yoast WordPress SEO Plugin is one of the trusted names in the SEO. This platform offers SEO services to a number of different clients, and their plugin for WordPress. For the ease of their users, Yoast developed a very powerful plugin, and ever since this plugin have been invented and brought out, it has been downloaded around 35 million times. You can find two versions of their plugins; premium and the other is free. The latter version is perfect for most websites. However, if you are looking to expand the customizations for the SEO, you probably would want to buy a premium version. For your convenience, we have compiled the steps. 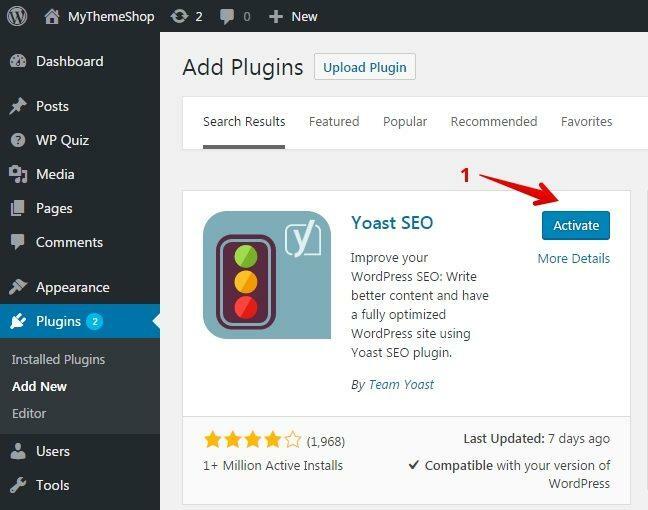 Read this guide that will help you to set up the Yoast WordPress SEO plugin in the simple step-to-step guide. Go to dashboard, click on plugins, and then to the add new button. Write the following in the search box WORDPRESS SEO BY YOAST. Now, click on the link INSTALL NOW. The image below will help you in this regard. The dialogue box will look something like the one shown below. Now that you have clicked on the installed now button, a pop-up alert will appear asking you if you really want to install the plugin. Just click OK.
After a few seconds, the plugin will be downloaded automatically. Once installed, all you need to do is click on the ACTIVATE PLUGIN button. The image shown below is what you will be asked to do. When you will activate the plugin button, the plugin will be activated. Once you have activated the plugin, you will be shown a new SEO menu in the dashboard, just like below. However, remember, if you are visiting the SEO tab for the first time, the plugin will make suggestions to change your permanent structure. To do that, go to dashboard->settings->permalinks. Once you have clicked on the SEO tab, you will be shown a window. The first thing you need to do is fill your personal information, to begin with the plugin configuration. After your personal information is added, it is time to verify the webmaster. Set up the title and meta title. Come up with a good meta description. Now click on Other to configure the meta and title settings. Next, it’s time to configure the social media accounts. Configuring the sitemap for the authors. Do not forget to configure the sitemap for the post types. Now change the sitemap for taxonomies. Configuring everything is important. Next, it is time to configure the permalink structure. Get the google authorization code. Paste the code, verify it, and voila! You are done. You need to be alert so that you don’t miss out to set your info in the Dashboard > SEO > Titles & Metas > Home. Remember, this is important, you can’t afford to miss it. Try to keep the titles short, somewhere between 6-9 words only. The maximum characters should be around 70 only. Most search engines only display only 156 characters of your meta description. So, keeping it short is wise if you want your complete description to appear. Although not crucial, but try to check the “noindex, follow” in the Dashboard > SEO > Titles & Metas > Taxonomies, for formats and tags. Try to follow Dashboard > SEO > Titles & Metas > Other, “noindex, follow” for author and data archives. You can create an image in Dashboard > SEO > Social > Facebook. This is beneficial because if someone likes or share your homepage, it will show on Facebook. Try to use your photo or logo, but it will be appearing in a small size, so try not to add tests. The best would be a square format logo or photo. If you are using Twitter, enter Dashboard > SEO > Social > Twitter and add your twitter name. Make sure you don’t add @ at the front, only the username will do. Go to Dashboard > SEO > XML Sitemaps. Here you can activate the XML sitemaps automatically, and it is always wise to do that. It’s Time to Wrap Up!Don’t be overwhelmed when you see so many options and settings. One is likely to get panicked and anxious, but if you want Yoast WordPress SEO Plugin to be installed perfectly, you will need to be attentive, relaxed, and patient. If you go wrong at one place, it will be back to square one, and you don’t want that, or do you? Make sure you read all the check-boxes and options clearly if you want things to go right the first time. If at any point, you feel intimidated or feel you cannot cope with this plugin, feel free to contact a professional. How to Use a Yoast SEO? Here, you can write the meta description and title of the page, and specify the keyword you aim to use. Next, save all the changes and click on the page analysis. This page will tell you how SEO friendly your page is. In the advanced tab, you can alter the settings for the meta robots, sitemaps and set a 301 redirect URL. Finally, your page is ready to for the search engines. Move on to the social tab and ensure it looks amazing when put up on social media. However, if you avoid this page, the social media site will use the page’s title and meta description automatically. And Yes! It will also yield an image of its own choice, and you know how unreliable that can get? Yes! It is time to publish your page. When all you are done with optimizing your page. Now look for a box where you can change the privacy settings, and schedule a post. Hit the tab post. Next, you will see another dot that means or tells how the Yoast has rated your post on the whole. If it’s a green, you are on the right track. Yoast is a free plugin, and the number of features you can get here is incredible. It is important to familiarize yourself with the Yoast plugin. Now it is time to make your website SEO friendly. If you are worried about getting a top ranking on the search engines, why don’t you give a try to the Yoast plugin? This plugin is available and comes pre-configured with some default options that can go with most of the cases. I am sure you have read the guide above. This will hep you set up the Yoast plugin with the best options for your website. Did you know that this plugin should be among the top 5 listed important plugins for your WordPress? The setting is a little confusing, but once you get hold of it, it will go by smoothly. Keep a constant check on the upgrades to the plugin. It is important to stay updated with the version if you want less loading time and faster processing.